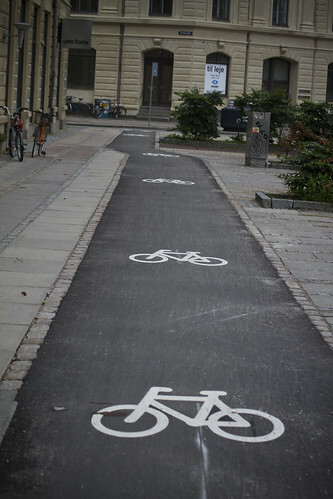 Readers may recall the post about the City of Copenhagen's respect for citizens' Desire Lines. 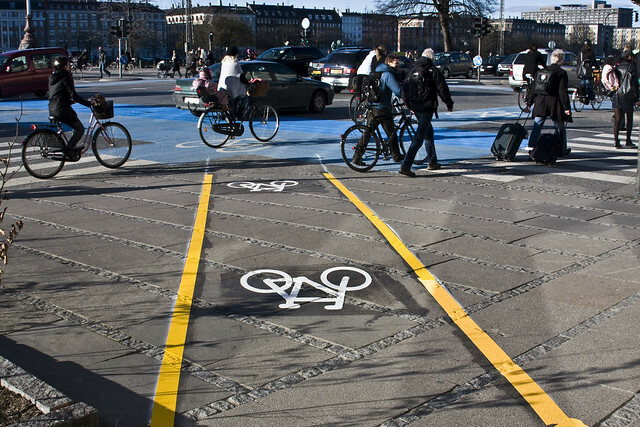 The above photo shows a temporary bicycle lane on a stretch of sidewalk that bicycle users kept using. The City tested out a bike lane there. The original post is here: Subconscious Democracy and Desire, where you can read about the concept of Desire Lines, too. 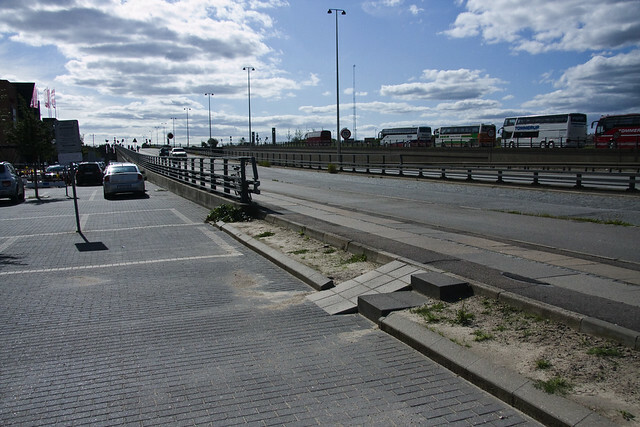 The temporary Desire Line has now been made permanent and bicycle users on this stretch are no longer rolling over the traffic laws. Instead, their Desire Line has been made legal. Desire Lines can be big or small. Here's another little example near Dybbøls Bridge. Cyclists coming down from the bridge would invariably roll down the bank here, instead of carrying on to the intersection 100 m, or so, behind the camera.